This is a re-advertisement for the position of the Head of Gender at FSDT due to some errors in the former advertisement, specifically in the fiduciary responsibility, key qualifications, experience and competencies for the role. Candidates, that previously applied, need not reapply unless the new information warrants an updated application from you. 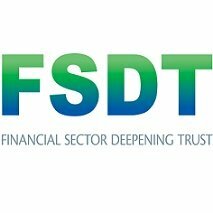 Financial Sector Deeping Trust (FSDT), Tanzania: The Financial Sector Deepening Trust, Tanzania, aims to contribute towards having all Tanzanians derive value from regular use of financial services, which are delivered with dignity and fairness. The Trust achieves this through facilitating the financial markets to work and cater to the needs of its prioritized markets that are women, youth, rural dwellers, agriculture and enterprises. • Stimulating improved access to financial products and services that respond to the needs of households and individuals. 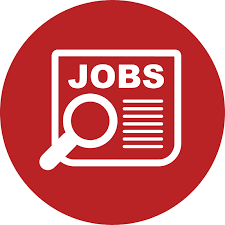 http://www.fsdt.or.tz FSDT is seeking to recruit a dynamic, strategic, experienced and qualified individual with strong credentials to fill the vacant position of Head of Gender. FSDT has recently approved a women and youth market strategy, which aims to prioritize intentional interventions aimed at reducing the gender gap as well as effectively mainstreaming gender across the organization. The Head of Gender will lead the women and youth function at FSDT to drive and support the development of inclusive financial markets in Tanzania. The role will support FSDT’s executive management in developing, implementing and managing the organization’s strategic and business plan objectives related to extending financial services, particularly in remote areas and for women and youth markets. This role will be responsible for overseeing FSDT’s gender intentional interventions at the macro, meso and micro levels. The role will work closely with all thematic areas to ensure gender is effectively mainstreamed across all of FSDT’s programmatic work. Specific initiatives will be aimed at catalysing innovations in products and services, support policy and regulatory work, and address market asymmetry gaps, in order to drive usage and uptake of financial services by women and youth in Tanzania. The Head of Gender will strive to work closely with other funders in the Tanzanian market to minimize duplication of effort and to maximize the impact of Women and Youth Economic Empowerment activities in the country. • Drive regulatory and policy analysis and generate thought leadership to stakeholders on opportunities that expand women and youth’s active participation in economic activities and in financial intermediations well as address the gender gap. • Manage and develop FSDT’s gender intentional portfolio and support gender mainstreaming across all thematic projects and investments at FSDT. The Head of Gender will engage in all stages of project cycle management, from the gestation of an idea to monitoring and evaluation of investments. Key steps will include market analysis, strategic and business planning, strategic linkages, investment opportunity development, project appraisals, as well as monitoring and evaluation. oversee and contribute to the drafting of necessary funding agreements; and be closely involved in the monitoring and evaluation of investments. Strategically, this role will work with the management team to define and develop the types of interventions that will result in the dramatic uptake and usage of financial services by women and youth in Tanzania. The objectives within Tanzania’s Financial Inclusion Framework should be taken into consideration to ensure alignment and support of the Government’s financial inclusion objectives/goals. • Serve as a thought leader in financial services within Tanzania by sharing information about innovations, best practices, and successes and lessons learned from other markets with FSDT colleagues, regulators, and the broader market. • Promote broad dissemination of information including best practices and emerging trends as well as data analyses on gender issues in Tanzania and how financial inclusion can reduce the gender gaps and ensure early adoption and usage of financial services among youth. • Serve as the programme resource for gender-based questions and engage with stakeholders on gender issues being addressed by the programme. • Provide specialist advice on gender issues. Serve as the point of contact on gender empowerment issues including monitoring and evaluation of gender-related impacts and conduct outreach internally and externally. • Provide technical assistance and support to mainstream gender across all thematic work at FSDT. The Head of Gender will work with peers within FSDT to provide advice and support to build on a gender sensitive portfolio across the programme. In addition, the role will work closely with the research team to identify relevant research activities that will catalyse the attainment of women and youth strategic goals. • Provide advice on appropriate gender sensitive indicators in the performance measurement framework and support colleagues in the monitoring and reporting of programme results/outputs and objectives against agreed indicators. • Support the Executive Director, Operations Director, and other management in developing and implementing FSDT’s broader strategies and business plan. The Head of Gender will be a member of Senior Management Team and will have responsibilities of participating in ensuring that FSDT’s operations and administration run effectively and efficiently. Given the small size of the FSDT team, all members will be expected to contribute to administration from time to time. The Head of Gender will take all reasonable steps to avoid financial losses to FSDT Tanzania, control fraud both internally and externally, comply with operating policies and procedures, ensure full transparency and accountability to Trustees, maintain and protect key financial records and data, safeguard confidential information, and avoid damage to the public reputation of the Trust. • A university degree or higher in gender studies, social and behavioural sciences, economics and research from a reputable institution. A PhD is an added advantage. • Proven expertise in designing, implementing, monitoring, and/or evaluating women and / or youth empowerment programmes. • A minimum of 3 years of experience in development work. Experience in grant-making, portfolio design, delivering on grant or other investment approaches whether from philanthropy or international funding environment. • Technical expertise in gender analysis specifically, the use of data, measurement and evaluation including qualitative and quantitative research methods, research and evaluation design. • Experience in creating and implementing gender assessment tools to monitor and evaluate projects and programmes. • Experience working with the government, policy makers, and regulatory organizations is an advantage. • Experience working with village savings and loan associations or other financial services mainly used by women is an advantage. Candidates meeting the required qualifications should send a detailed typed Curriculum Vitae (CV) with names of three referees, their addresses, telephone numbers and e-mail addresses if any. Applications, which are submitted late, will be disqualified. We put our customers (Financial Service Providers, regulators & policy makers, and financial sector support organizations) and beneficiaries (the underserved and excluded in the financial sector) at the center of everything we do. We strive to achieve our objectives by delivering financial resources as well as high quality evidence-based research and shared innovations and best practices – and by prioritizing intervention that address systemin financial inclusion sector constraints. We encourage and support alternative, and new, solutions and ways of delivery. Our staff is our greatest asset; we groom and invest in them.